The flat lands of the Netherlands may well be the last place you’d expect a growing community of trail and mountain runners. Think again? ‘Mud Sweat and Trails’ have very much pioneered the sport for Dutch aficionados with a growing series of races. They regularly have 1000 people toe the line – that is huge! 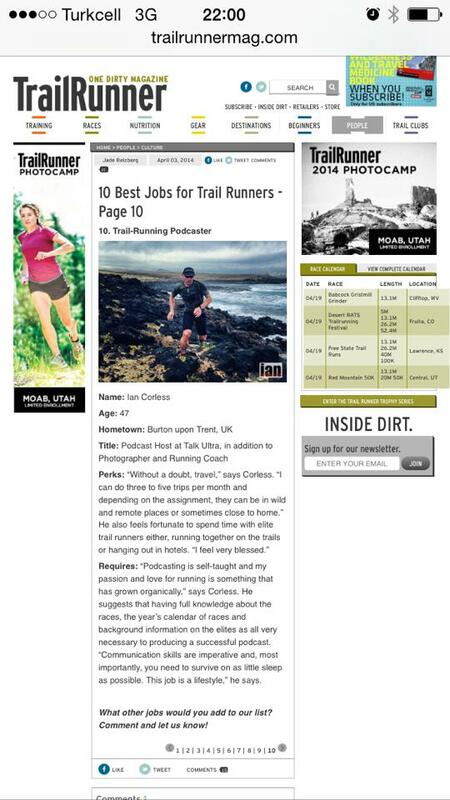 In 2016, the ‘MST’ brand expanded with a trail running store, but this is no ordinary trail running store. It’s a store that any run enthusiast would love to own. It’s a Mecca for trail. Imagine walking into a typical warehouse type store and you have an idea of the space that the MST store occupies. Imagine a wall of shoes that includes Altra, inov-8, Hoke One One, Salomon, Brooks, La Sportiva and so on. Imagine a floor space of apparel by brands such as Buff, Raidlight, The North Face, Salomon, WAA and more. Another wall of running packs – Ultimate Direction, Salomon, Ocisport and WAA. In and amongst this are GPS watches, head torches, nutrition, socks, gadgets, gizmos and all sorts of trail temptation that really make the MST store an Aladdins Cave for trail. But the attention to detail is second to none. A flat two-lane run track allows shoes to be tested and believe it or not, they even have a ‘trail’ test ramp. 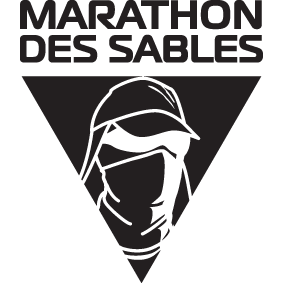 The store has so much space and flexibility, they can even customise sections of the store to a specific race, in this scenario, Marathon des Sables. I was in the Netherlands at that invite of Tom Maessen and Marc Weening – the brains behind MST. They get trail. They understand the sport is a lifestyle and yes, although they are in business to make money, they also understand that the sport of trail is about community and sharing. So, MST is not only a retail unit but it’s a meeting hub and venue for events. Above the store but within the store is a first floor room that can hold 250+ people, a screen, sound system and projector is installed. It’s a cinema and conference room in one. I was attending a ‘Trails in Motion’ screening and I had been kindly invited as a guest of honour to coincide with the launch of my book, Running Beyond. I’m forever thankful that the work I have produced over the past years has gained a following, so, the opportunity to share what I do is special. I can’t thank Tom and Marc enough and indirectly I also need to thank my friends Thomas and Jeroen who had no doubt helped in the process. 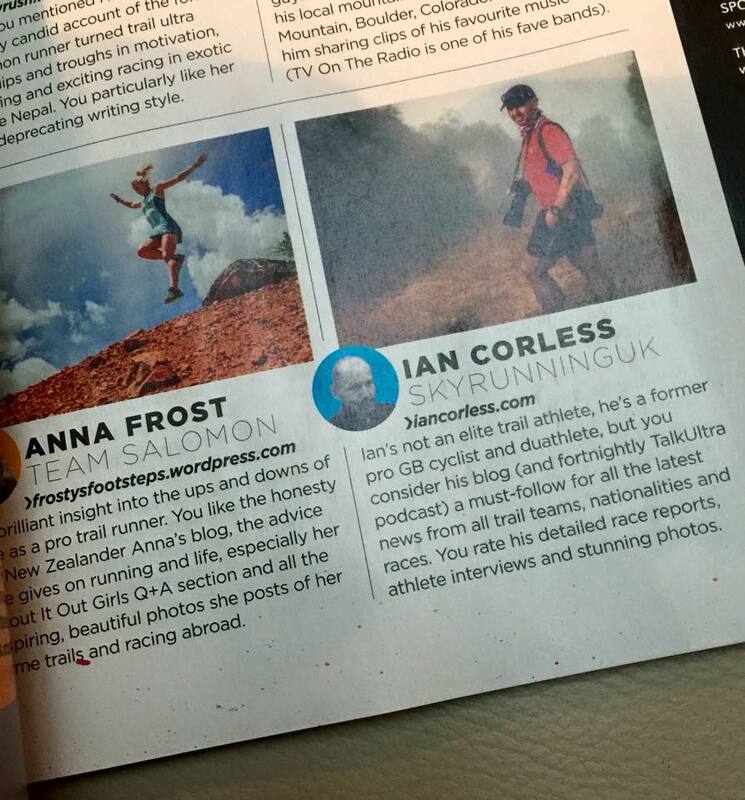 Just a day after the talk, one runner, Ronnie Duinkerken, tweeted, that he had entered Tromso SkyRace after my talk. It’s always easy to find an excuse not to do something. Think about it. Turn that thought process around and now thin, ‘why can’t I do it?’ As I said in my talk, a point will come in our lives when choices may well be taken away from us. No point in reaching a time or point in life and think, what if?’ Or, ‘If only I had done that…!’ Embrace the moment, embrace the day and don’t wait for tomorrow for something that can be done today. Life on the Fells, Miles Away, Thirty Hours, Mount Marathon, The Crown Traverse, One Step at a Time, Running Wild, Iceland – Change your Life and The Hard Way. 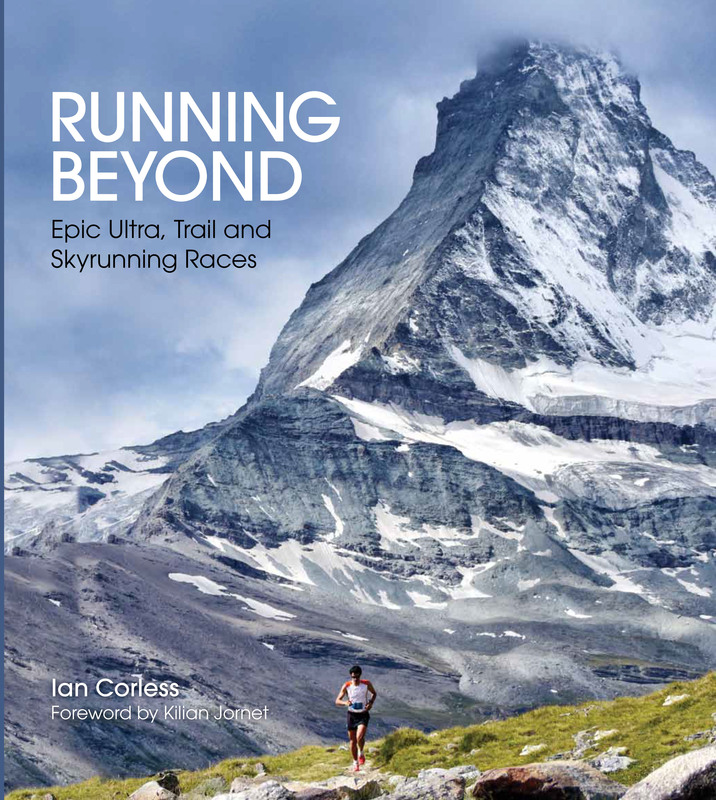 I said in Running Beyond that I feel that trail, mountain, ultra and skyrunning is a metaphor for life – it has never felt more true! Signing books, I was asked many questions and in turn I asked questions back. Jerry Kenbeek even purchased two books so that he could give one away. The wine flowed, beers were consumed and excellent food was provided by a catering team. At midnight, the night came to an end, I returned to my hotel room with a night full of memories and emotions. As I drifted to sleep, I was reminded constantly through flashback that I really do have the best job in the world and within that world, I am joined by the greatest community. Long may it continue. Saturday soon came and at 0830 I was joined by Marc and Tom to join other runners for a 18km run in the sand dunes of Holland. We weaved in and out of sandy trails and then ran along a flat smooth beach as the sea splashed to the right. It was a Vangelis moment. No run trip to Holland can be complete without a post run treat; coffee with HUGE pieces of Dutch apple cake and lashings of whipped cream sealed the experience. I was left to experience Amsterdam centre alone. The weaving streets and canals, the smell of dope in the air, the noisy and rowdy groups of revellers and the glow of red lights felt unfamiliar, harsh and almost distressing. Beautiful buildings, picture postcard scenes were somehow distorted in my mind and eye – I couldn’t relate. I eventually found solace in a quiet restaurant and as my evening came to an end I made my way back to Zoetermeer. This journey has been a wonderful one. In all honesty, I can’t wait to return. Holland may have no mountains, I can live with that. A lack of vertical is more than compensated for with hospitality, a great running community and apple cake, oh yes, what apple cake! SPARTATHLON is a historic ultra-distance foot race that takes place in September of every year in Greece. Arguably, it is one of the most difficult and satisfying ultra-distance races in the world because of its unique history and background. The Spartathlon revives the footsteps of Pheidippides, an ancient Athenian long distance runner, who in 490 BC, before the battle of Marathon, was sent to Sparta to seek help in the war between the Greeks and the Persians. According to the ancient Greek historian Herodotus, Pheidippides arrived in Sparta the day after his departure from Athens. Inspired by the report of the Greek historian, in 1982 five officers of the British Royal Air Force (RAF), who were also long-distance runners, traveled to Greece, led by Colonel John Foden. Their purpose was to ascertain whether it was possible to cover the 250 kilometers separating the two towns in one and a half days. The enthusiastic British team showed that the report by Herodotus was entirely plausible. A man is indeed able to cover 250 km in less than two days and in fact in less than 40 hours. After the success of the project, the architect of the feat, John Foden, began to envision the establishment of a race that would bring long distance runners to Greece from around the world to run on the trail of the ancient runner Pheidippides. The next year a multinational team of British, Greek and other enthusiastic supporters of the idea, led by Michael Callaghan, a philhellene, organized the First International Spartathlon (Open International Spartathlon Race), wherein the name for the race combines the Greek words for Sparta and Feat. The race was held with the approval and supervision of the Athletics Federation with the participation of 45 runners from 11 countries and included the participation of women. The organizational success of this inaugural race and its broad appeal were decisive to the subsequent establishment of the annual race. Accordingly, in 1984 the International Association “Spartathlon” was founded. Since then a yearly race has been organized each September. Why September? Because that is the time reported by Herodotus for Pheidippides run to Sparta. The 2013 edition of the race will start on Friday 27th September with 350 participants and for any last minute dropouts; this entry list will be topped up from a waiting list of 160 runners. Sweden, Poland, Australia, Japan, Germany, Italy, Hungary, Denmark, France, Spain, Netherlands, Finland, Argentina, Portugal, China, Malta, United States, Uruguay, Belgium, Austria, Brazil, Mexico, Czech Republic, Faeroe Islands, Switzerland, Russia, Serbia, Slovakia, Hong Kong, United Kingdom and of course Greece. Spartathlon, for many is a bucket list race. It has a magic that cannot be found at other races. The distance, strict cut-off times, the heat and so on all add to the drama. 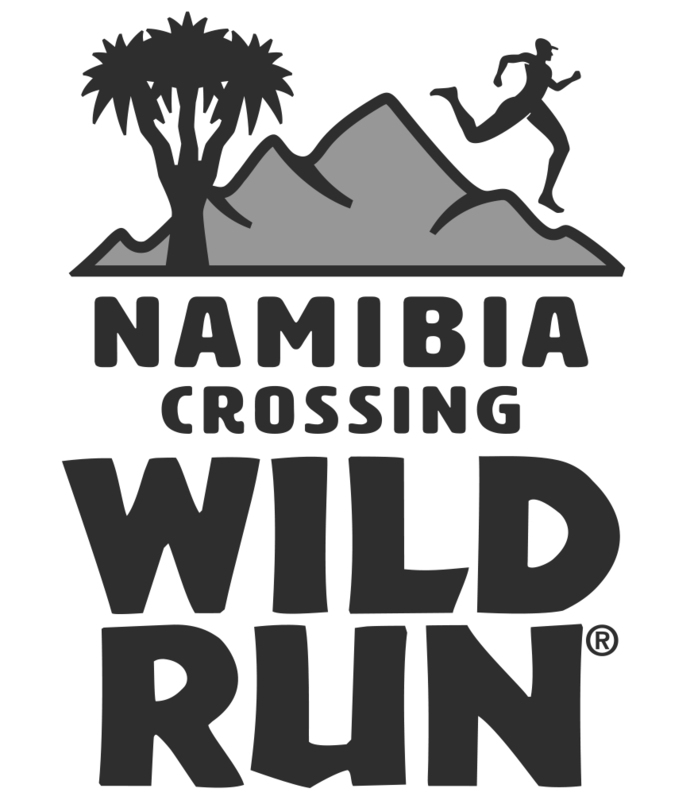 The course is conducted point-to-point and elevation ranges from sea level to 1,200 meters (3,937 ft), over tarmac road, trail and mountain footpath. Aid stations are placed every 3 to 5 km and are provisioned with food, water and other refreshments as well as the runners’ personal supplies. The race is run under police and medical supervision with doctors, physiotherapists, and emergency vehicles being on call throughout the 36-hour race duration. The race is very demanding. 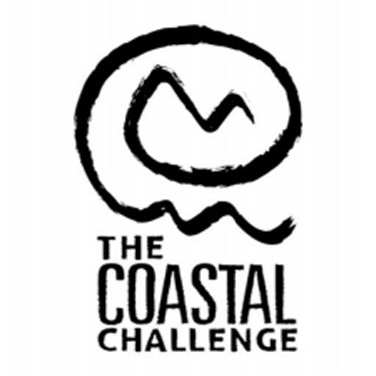 The course is not the most spectacular and 153 miles of roads may not appeal to many, particularly if coming from a trail or mountain running background. However, I’ve yet to meet anyone who has run this race and not loved it. For sure, the Greeks, French, Japanese, German and now a growing UK participation love this race and demand is continuing to grow. Lizzy Hawker raced in 2012 and not only won the ladies race in 27:02:17 but placed third overall. The outright winner was Stu Thoms from Germany in 26:28:19. 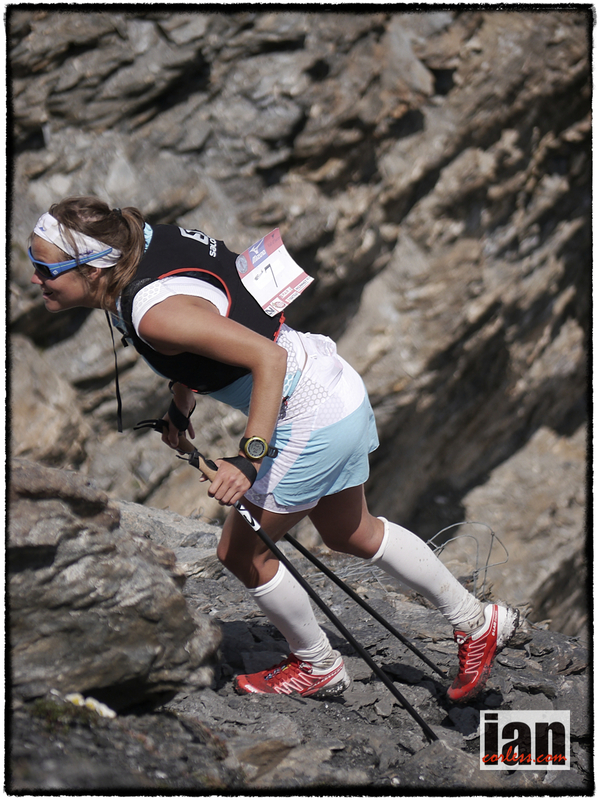 Secondly, Mimi Anderson will be doing Spartathlon her own way in 2013… she raced in 2011 and surprised herself with her performance. So much so, this year she is coming back to do it twice! Yes, twice. ‘Marvellous’ Mimi Anderson, the 51 year-old grandmother from Smarden in Kent who is a triple long distance running Guinness World Record holder and already the legendary finisher of several ‘doubles’ of extreme long distance races for which the one-way normal run would be beyond most mere mortals, is about to attempt probably her most daring double – a two-way run of the iconic Spartathlon race held in Greece each year. 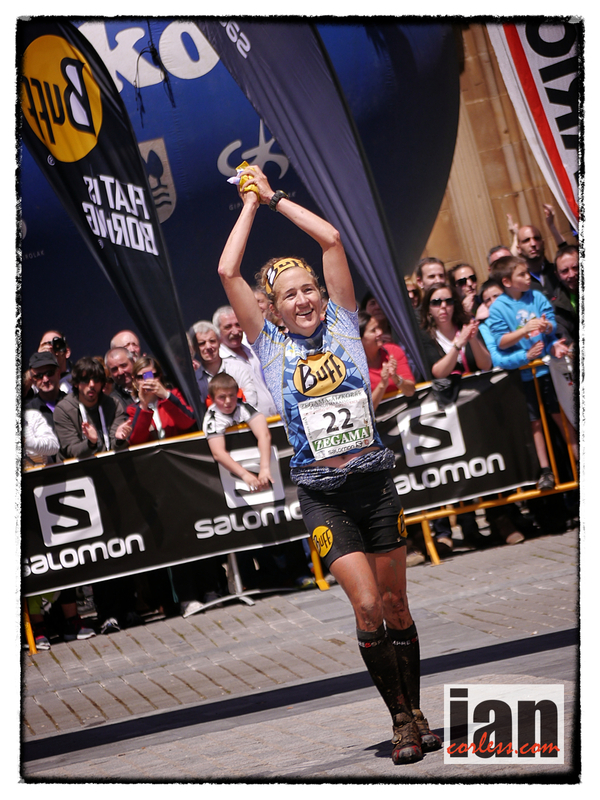 Traditionally there are about 20 runners from the UK each year and Mimi first ran the race in 2011 when she finished 3rd lady overall and the 1st UK finisher in 32 hours 33 minutes 23 seconds. She has decided to return in 2013 and having completed the normal race on her previous visit, she will be attempting the double this year (a distance of 306 miles), which is believed to have only ever been done once before. It has certainly never been done by anyone from Britain and no female has ever attempted it. Mimi’s plan is to do the race first then, all being well, start the return leg at midnight on Saturday night. She will be running the race itself to achieve the best time she can and then attempting the return leg in in the same tough 36 hours maximum time allowed for the race. Her husband Tim and friend Becky Healey will be crewing for her during the event and the reason for starting the return leg at midnight on the Saturday is to enable the crew to get some sleep – otherwise it becomes too dangerous for them to be driving safely! The 2013 event for sure will be exciting for all involved and for those watching. If you would like more information, please go to the race website. 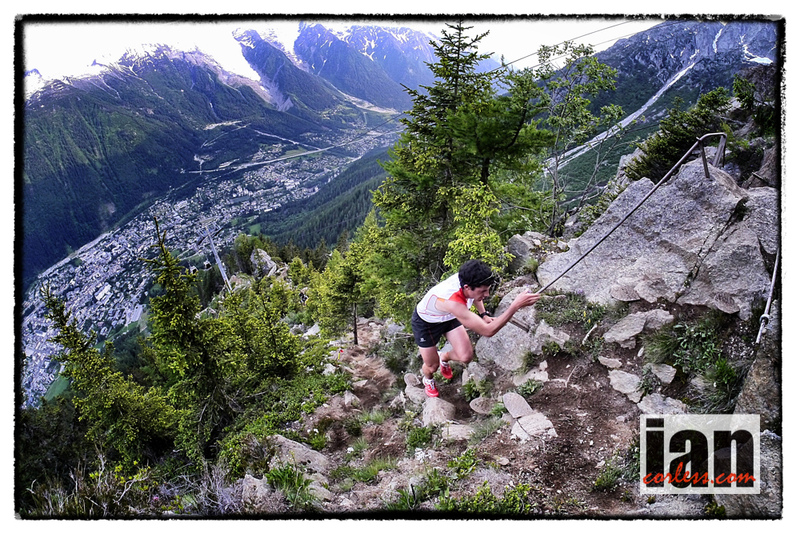 The ice at Ice Trail Tarentaise hasn’t even melted and just 48 hours later we ae looking ahead to the third edition of the European Skyrunning Championships which start this coming Friday, the 19th. 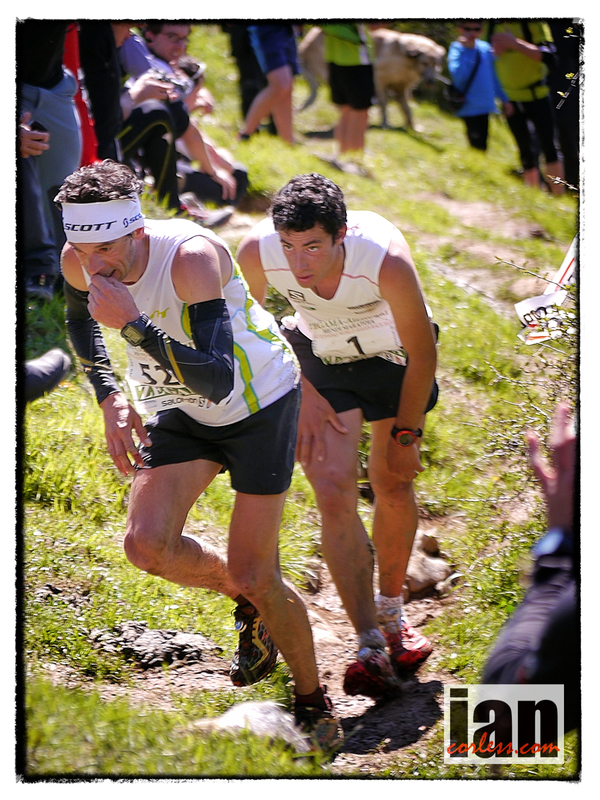 with the Vertical Kilometer®. The series of events will have seven world champions representing sixteen nations. The Dolomites will again host two of the events in the three-year history of the Championships. The record on the unforgiving Vertical Kilometer® course just 2,1 km long, stands at 33’16” by world record holder Italian Urban Zemmer and Antonella Confortola in 39’13” back in 2008 when the course was inaugurated. The classic Dolomites SkyRace® favoured by the world’s top runners offers a new challenge after record-breaking performances here this year by Kilian Jornet in 2h01’52”, and the three top women, Sweden’s Emelie Forsberg, American Kasie Enman and Spaniard Mireia Mirò – all under record time. Forsberg’s record stands at 2h26’00”. The challenging and often technical course represents one of the toughest proving grounds for the relatively short distance: 22 km but with 1,750m climb to the summit of the Piz Boè which, at 3,152m altitude, towers above the start and finish of the race in Canazei. 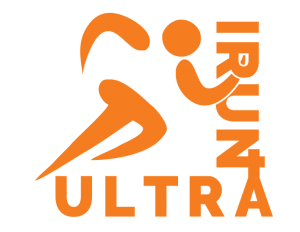 The much anticipated Ultra is embodied by the Trans d’Havet, a point to point 80 km long with 5,500m vertical climb traversing the Piccole Dolomiti in the Veneto Region. The route, technical in stretches, includes 6 km of tunnels dating back to the First World War, created by General D’Havet, to whose name the race is dedicated. At the launch this year, the men’s winning time was 10h58’44”, no doubt destined to fall with the top European runners participating here in 2013. 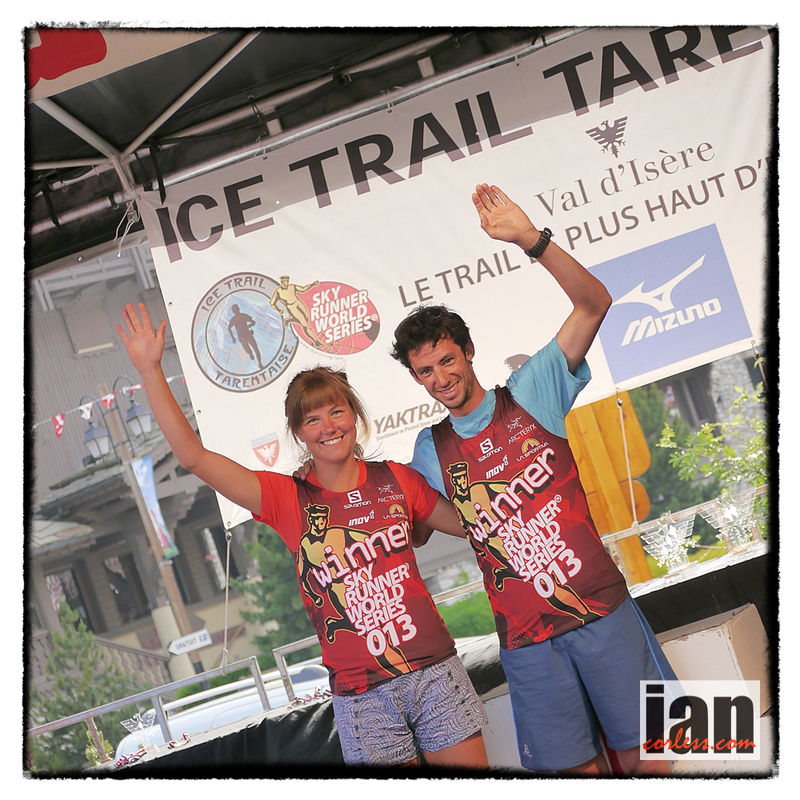 Kilian Jornet and Emelie Forsberg will test their powers of recovery and just five days after impressive victories in what many are now considering an iconic Skyrunning race, the Ice Trail Tarentaise, they will toe the line for all three events in the European Championships. 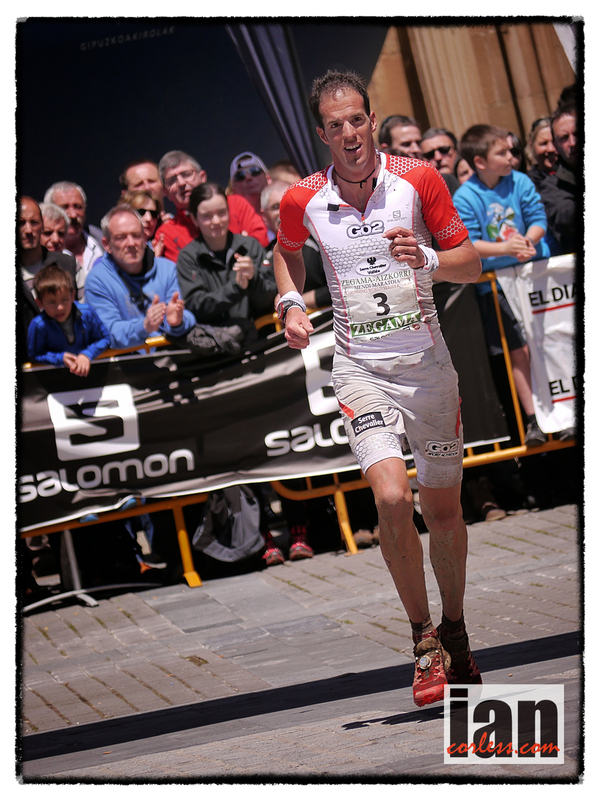 It is going to be difficult to bet against them, certainly Kilian has the ability, powers of recovery and experience to top the podium in all three events. However, Luis Alberto Hernando has pushed Kilian close in three events already in 2013 and he will most certainly be keen to move one place on the podium higher. Nuria Picas missed Ice Trail Tarentaise so that she could save all her energy for the ultra race, she desires the Euoropean Championship crown and keeping in mind Emelie Forsberg’s recent calendar and the fact that she will have participated in the VK and Sky race the weekend before, one has to say that Nuria may well be the favourite for the Trans d’Havet race. 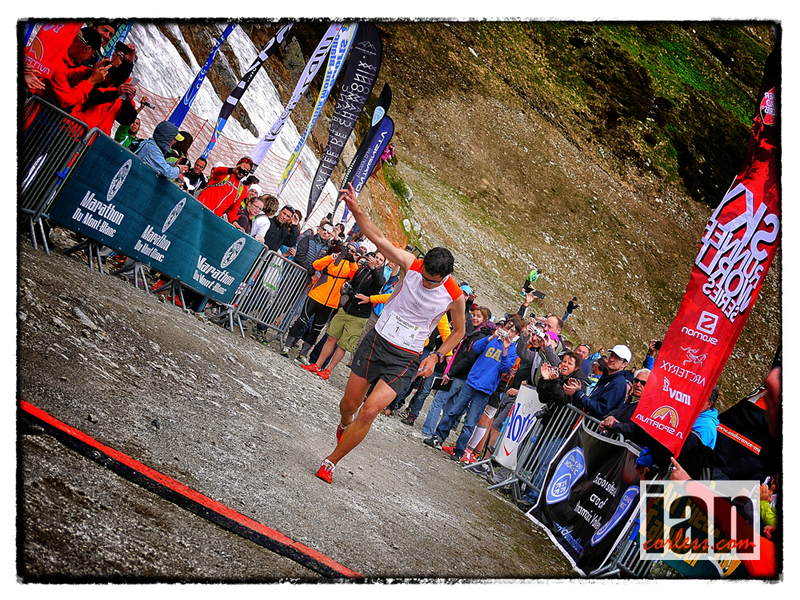 Michel Lanne joint winner of the Mont Blanc Mrathon Ultra race will almost certainly be a hot favourite at Trans d’Havet along with an in-form Philipp Rieter who took third place at Ice Trail Tarentaise. The Sky distance race will be extremely competitive, Nicola Golinelli (4th Mont-Blanc Marathon) Florian Reichert (9th at Mont Blanc), Tadei Pivk (3rd at Zegama), Matheo Jaquemoud, Augusto Roc (three time world champion), Didier Zago and Dimitris Theodrakakos will go head-to-head for the title. 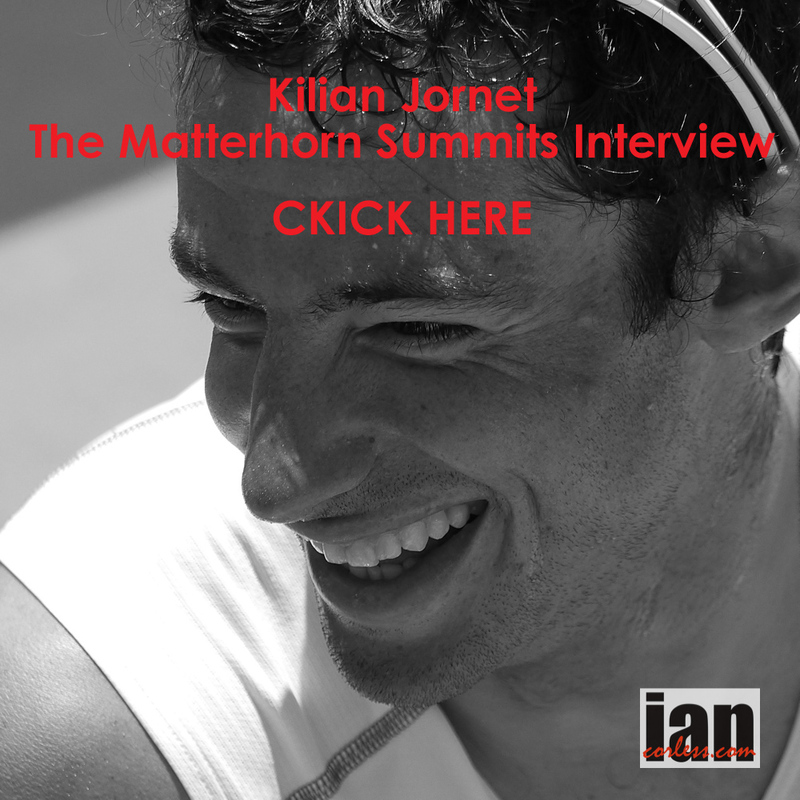 However, so will Kilian Jornet. On this course, I don’t see Kilian loosing, however today, 17th July, we have had confirmation that Kilian’s favourite sparring partner, Marco De Gasperi will toe the line. Not only is this great news for the race but it is great news for us. No doubt after the head-to-head battle at Mont Blanc we will see a repeat performance on the slopes os Canazei. The ladies Sky race will be equally competitive with Emelie Forsberg, Celine Lafaye (2nd Mont Blanc), Maite Mayora Elizondo and Silvia Serafini as strong favourites. However, nobody will have an easy run with strong competiton coming from Zhanna Voueva, Laura Orgue, Stephanie Jiminez, Ragna Debats to name but a few. The Vertical at Canazei is regarded as one of the toughest. 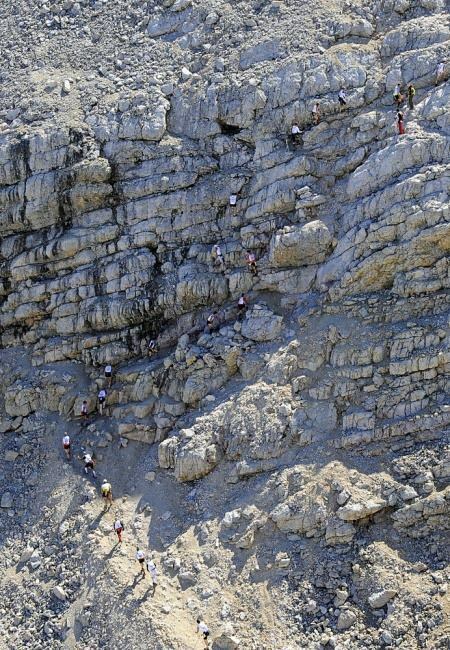 It is incredibly steep, to put this in perspective, even Kilian Jornet used ‘poles’ in 2012. Without doubt Kilian is a strong favourite but the men’s field has real quality and ‘VK’ specialists; Urban Zemmer will lead the charge for the title, closely followed by Marco Facchinelli, Tadei Pivk, Didier Zago, and Augusti Roc. Antonella Confortola will be the hot favourite for the ladies. 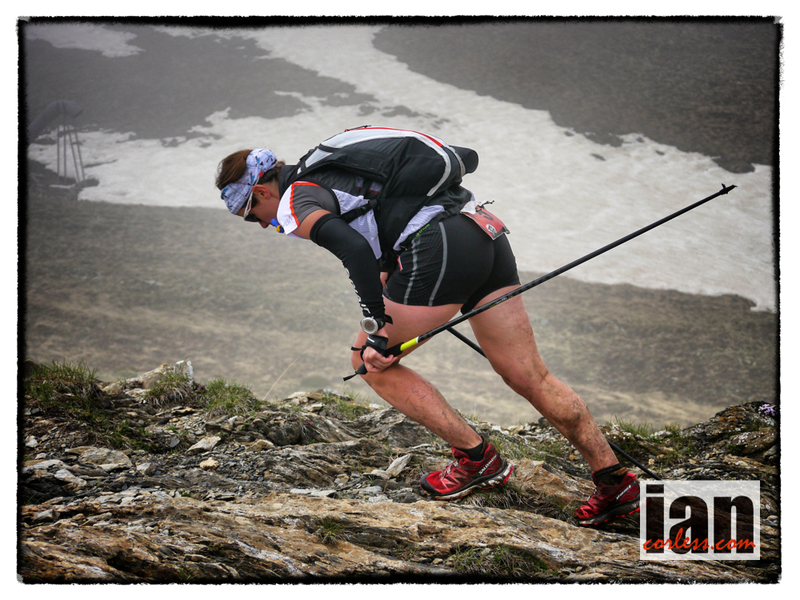 Emelie Fosberg will push hard but she is still learning in the VK as is Zhana Vokueva. Tessa Hill from the UK is slowly becoming a VK specialist and she stated at Mont Blanc that she was already seeing a progression from her 2012 form. The ever present Corinne Favre is always a contender, as is Laura Orgue. Sivia Serafini, Celine Lafaye, Maite Mayora Elizondo and Ragna Debats will double up with the Sky race and have every possibility to make the podium in both races. To date, the sixteen countries entered are: Andorra, Austria, Bulgaria, Czech Republic, France, Great Britain, Germany, Greece, Hungary, Italy, Netherlands, Romania, Russia, Spain, Switzerland, Sweden. The winning formula? 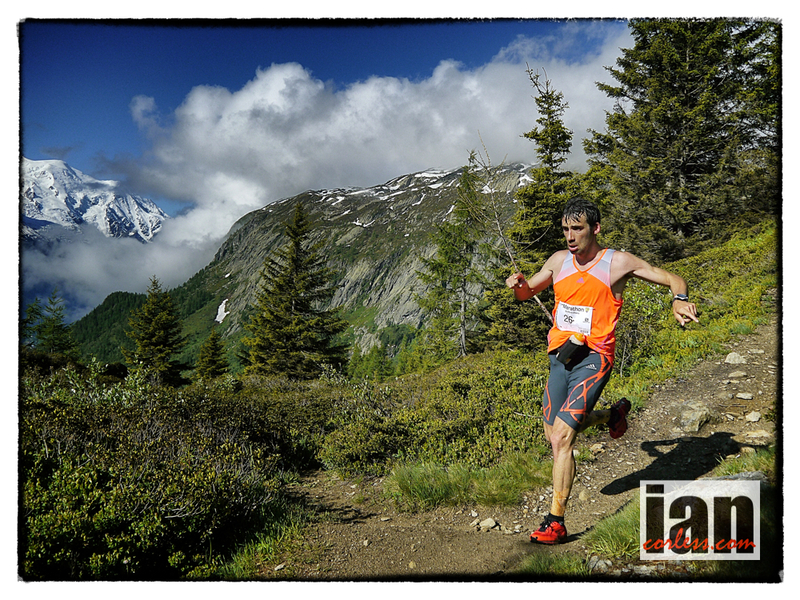 Easy: the European Skyrunning Championships are open with individual titles at stake in each discipline. Ranking is based on the sum of the highest points scored in two out of three events. The national title is based on the score of the first three men and one woman in all three events. The third edition of the European Skyrunning Championships kicks off in Italy with not just Europe’s best, but no less than seven world championsrepresenting sixteen nations. 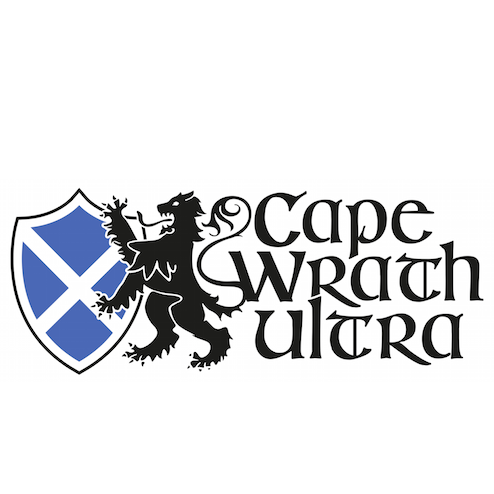 The events will mark the first European Ultra title, as well as the Vertical and Sky distances. Taking on all three disciplines will be super-champs Kilian Jornet and Emelie Forsberg, for whom only the sky is the limit. A number of other athletes will take on the three-race challenge but mostly the specialists are aiming for medals in their preferred categories. 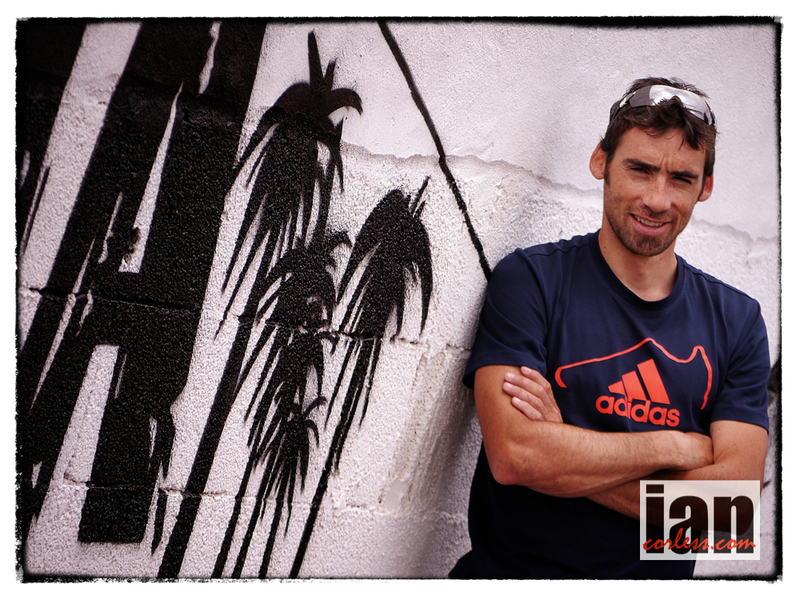 The strong Spanish team includes 2011 Skyrunning World Champion Luis Alberto Hernando who will take on the Ultra with 2012 Ultra Champion Nuria Picas. 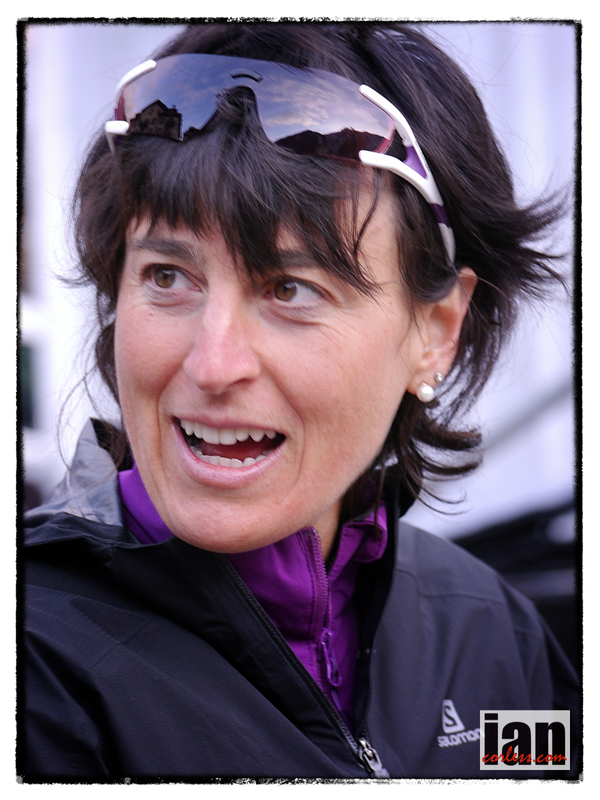 The twelve team members also include three-time World Champion, Agustì Roc and Vertical Champion Laura Orguè. Italy will be aiming at the Vertical and Sky distances with a robust line-up headed by Vertical World Champion Urban Zemmer and Antonella Confortola who took third at the recent KM Vertical in Chamonix. The Italian squad is supported by Nicola Golinelli (4th Mont-Blanc Marathon), Marco Facchinelli currently heading the SWS Vertical Series together with Marco Moletto (ranked 4th). Silvia Serafini (4th in Mont-Blanc Marathon), will race both distances while Stephanie Jimenez will take on the SkyMarathon®. Many more world-class names have signed up to represent their county in the European Championships. Among them, the strong French team: Michel Lanne, Emilie Lecomte, Matheo Jacquemoud, Didier Zago, Celine Lafaye and Corrine Favre; Philipp Reiter and promising “new” skyrunner Florian Reichert (Germany); Ferran Teixido and Oscar Casal Mir (Andorra); Zhanna Vokueva (Russia); Csaba Nemeth (Hungary); Ionut Zinca (Rumania); Tessa Hill(Great Britain). 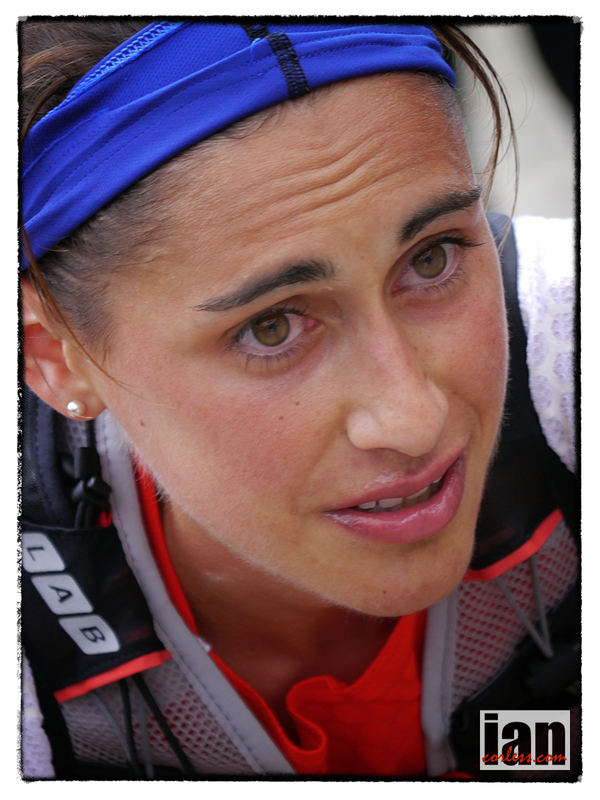 The Netherlands are not new to skyrunning after their first experience at the 2012 SkyGames®. 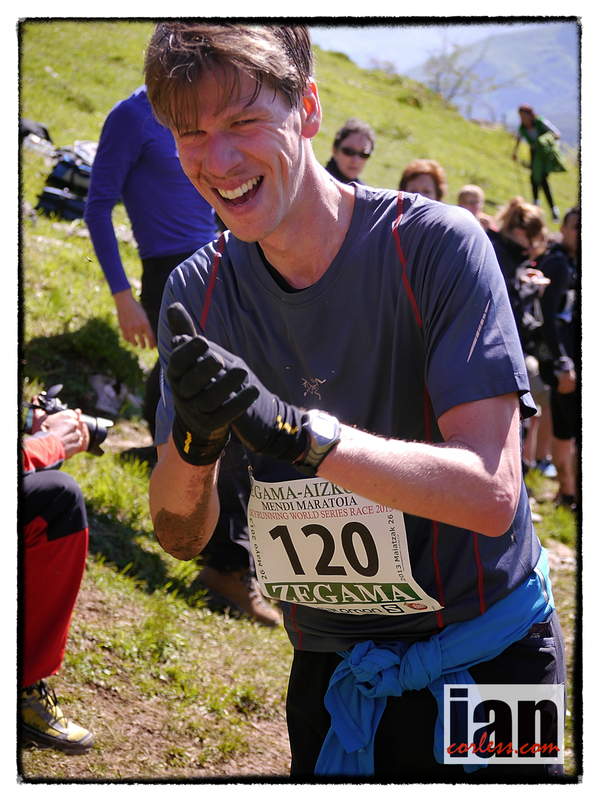 They are led by Ragna Debats, 5th at Mont-Blanc Marathon. 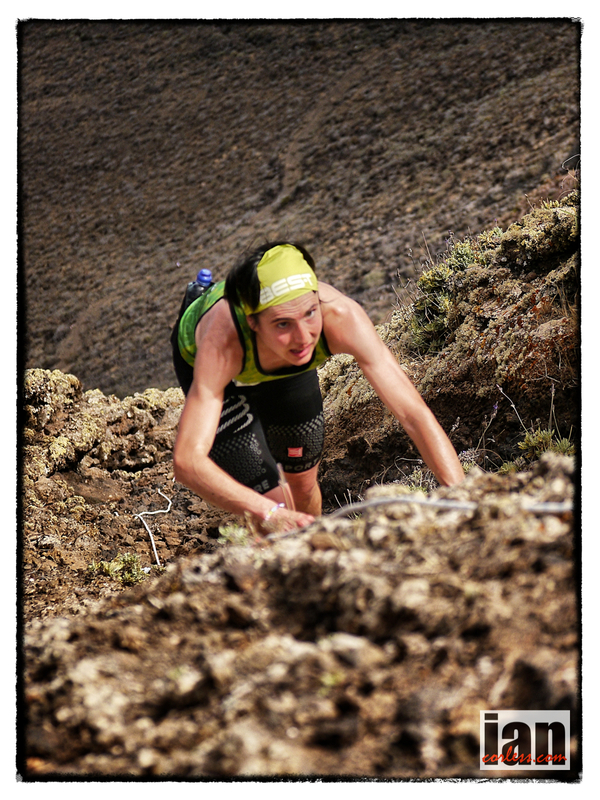 New entries include a very strong representation from the Czech Republic with no less than thirteen team members they are determined to make an impression on the international skyrunning scene. To date, the sixteen countries entered are: Andorra, Austria, Bulgaria, Czech Republic, France, Great Britain, Germany, Greece, Hungary, Italy, Netherlands, Rumenia, Russia, Spain, Switzerland, Sweden. The events kick off on July 19 in Canazei, Trento, Italy with the Vertical Kilometer®, followed by the Dolomites SkyRace® on July 21. The Ultra distance will be disputed at the Trans d’Havet just six days later in the nearby Veneto Region on July 27. With such a deep field in every category, records are likely to tumble. The record on the unforgiving Vertical Kilometer® course, just 2,1 km long, stands at 33’16” by Urban Zemmer and Antonella Confortola, 39’13”, back in 2008 when the course was inaugurated at the SkyGames® . The Dolomites SkyRace® favoured by the world’s top runners offers a new challenge after record-breaking performances last year by Kilian Jornet in2h01’52 and Emelie Forsberg, in 2h26’00. The challenging and often technical course represents one of the toughest proving grounds for the relatively short distance: 22 km but with 1,750m climb to the summit of the Piz Boè which, at 3,152m altitude, towers majestically above the start and finish of the race in Canazei. Moving on to the much anticipated Ultra, the Trans d’Havet is an 80 km point to point with 5,500m vertical climb traversing the Piccole Dolomiti in the Veneto Region. The route, technical in stretches, includes 6 km of tunnels. 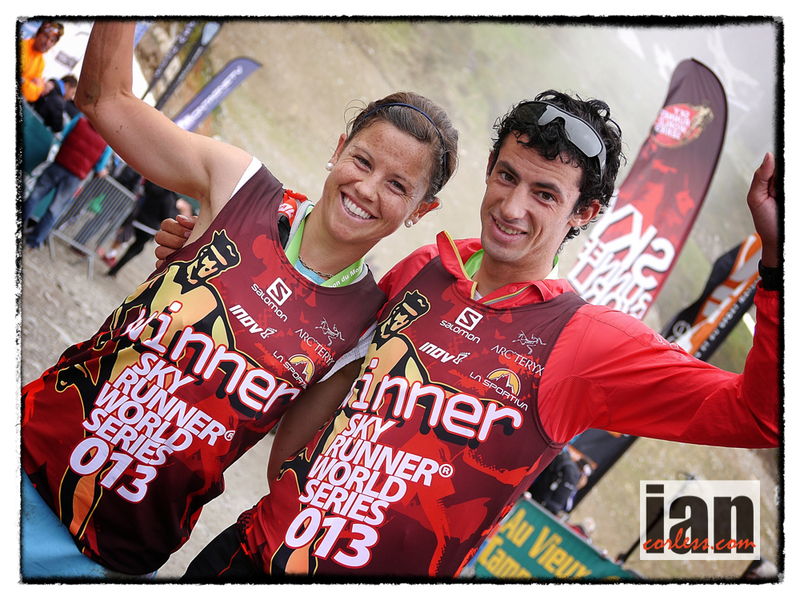 Course records at last year’s launch were: 10h58’44” by Daniele Palladino (ITA) and Francesca Canepa (ITA) 11h44’45’’.